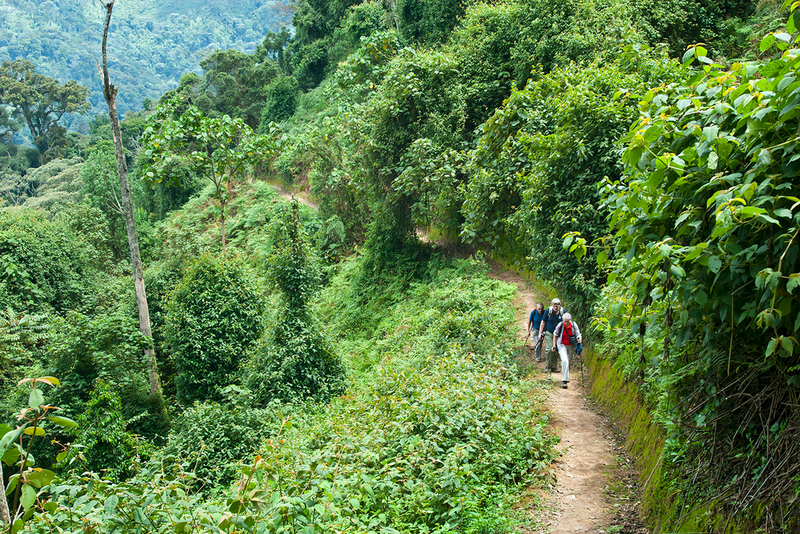 To explore Rwanda is to immerse yourself in a verdant world of emerald hills, forests, volcanoes, tropical rainforests, and the faces of elusive mountain gorillas. Half the world’s population of these mysterious, gorgeous creatures reside in Rwanda and it is here where you have an incredible opportunity to literally come face to face with them in their world on a gorilla trek. Beyond this, Rwanda features fantastic wildlife viewing from hippos to elephants, along with relatively untouched beaches along Lake Kivu, and a complex, challenging yet fascinating history to learn about through the locals who are among some of the friendliest, warm-welcoming people on the planet. Unique encounters with nature happen here that very rarely happen anywhere else. Geography: Rwanda is located in East Africa, inside it a series of lakes, rivers, forests and mountains that primarily dominate the central and western part of the country. It’s highest peaks are the famed Virunga volcano chain in the northwest. How's the weather? Due to it’s high altitude, Rwanda has a mild climate as far as extremes go in the highlands, temperatures however vary dramatically from region to region. Rwanda has four seasons- rains from mid March to mid May, short rains from mid October to mid December, a long dry period from mid December to mid March. Special Rwandan pre-departure gift delivered to your door before you embark upon your journey.